Irish nationalists and republicans would like the world to believe that Eire (the Irish Free State) remained strictly neutral during WWII. They did not. Many in the Dublin government were quietly sympathetic to the Nazis. Some were more overt than others. One incident oft cited by Ulster Loyalists, which illustrates Eire’s pro-Nazi sentiments, is DeValera’s visit to the German Embassy to express his (and by default the Irish governments) condolences in the wake of Hitler’s suicide. Irish nationalists, who seem to be history experts to a man, either deny the incident ever occurred, or seek to downplay it. Every neutral country sent their condolences to Nazi Germany when the Führer blew his brains out they’ll say. But that is a lie. Merely diplomatic protocol they’ll say- a matter of good etiquette. That too is a lie. The most often repeated lie is the one that says ‘Ach sure it was only Dev. It was only one man’. So say the historical amnesiacs of Irish nationalism, but their lies are easily dis-proven. Two days after Hitler and his consort Eva Braun committed suicide in their Berlin bunker, Irish Taoiseach, Eamon De Valera, who also served as foreign minister, and his aide, Secretary of External Affairs Joseph Walshe, visited the German Embassy in Dublin to sign a book of condolences for the departed Führer . They also met with the top German envoy to Ireland, Eduard Hempel, a committed Nazi . Irish envoys in other nations did likewise, including Leopold Kerney in Spain, who called on the German Embassy in Madrid to express his condolences and lament the loss of Adolf Hitler. Irish President Douglas Hyde also expressed his condolences for the Nazi leader. And this after the liberation of Auschwitz-Birkenau, Bełżec, Chełmno, Jasenovac, Maly Trostenets, Sobibór and a whole host of other extermination camps. After it had become clear to the world that Nazi Germany (and it’s allies, most notably Croatia) had committed genocide on a huge scale. After the full horror of the ‘Final Solution’ had become all too clear. Other (supposedly) democratic nations did not offer their condolences on Hitler’s death, for to do so would have been shameful in light of the Nazi dictator’s crimes against humanity. Indeed, no other Western European democracies followed De Valera’s example – he found himself in the dubious company of two European fascist dictators, Francisco Franco of Spain and António de Oliveira Salazar of Portugal, in voicing condolences over Hitler’s suicide. 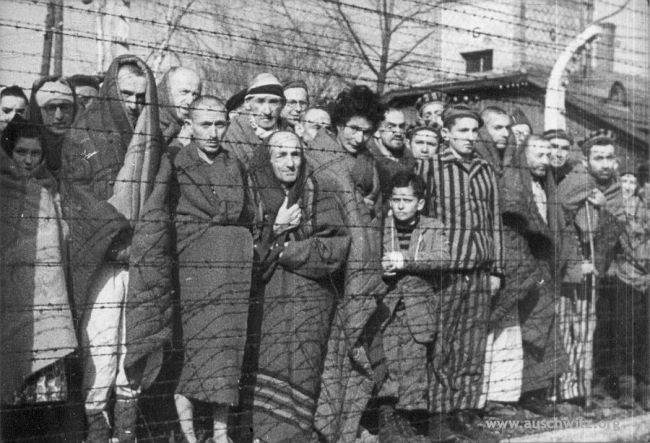 By the time of Hitler’s death, extermination camps like Auschwitz-Birkenau had already been liberated by the Allies. The New York Herald Tribune also blasted De Valera. Ireland’s neutrality in a war that cost millions of British and Allied lives remains a messy and controversial chapter in European history. But support for neutrality was strong in the country, with many Irish even expressing sympathy for the Germans as an “anti-British” entity. De Valera had already inflamed the British government in 1943 when he sent a note of congratulations to Indian nationalist (and German and Japanese ally) Subhash Chandra Bose following the latter’s declaration of Azad Hind – a “Free India” government-in-exile“, which was basically a puppet regime of Imperial Japan. David Gray, the U.S. ambassador to Ireland in the 1940s, believed De Valera stayed out of the war on the bet that the Nazis would defeat the Allies. Gray also contended that some top Irish officials were, in fact, colluding with the Third Reich. In addition, in the two years just prior to the outbreak of the war in 1939, Eire refused entreaties to allow German Jewish refugees and other victims of Nazi persecution to settle there. Practicing a policy of “Aryans only” up until the 1960s. 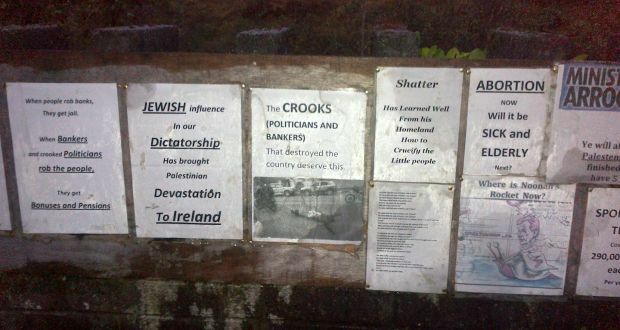 Sadly Anti-Semitism is still rampant in Ireland. These facts are inconvenient to Irish nationalists and republicans. They would rather deny these parts of their history rather than examine them. They would rather be selective with history rather than accurate. Historical revisionism comes naturally to Irish nationalists. It is done almost without thinking. Ireland likes to forget the parts of history that do not fit into the ‘romantic little Ireland’ narrative that has been so carefully crafted over the last hundred years or so. Irish nationalists simply ignore that which doesn’t suit them, they’d rather any wrongdoing was simply forgotten, not just by the Irish but by the rest of Europe as well.